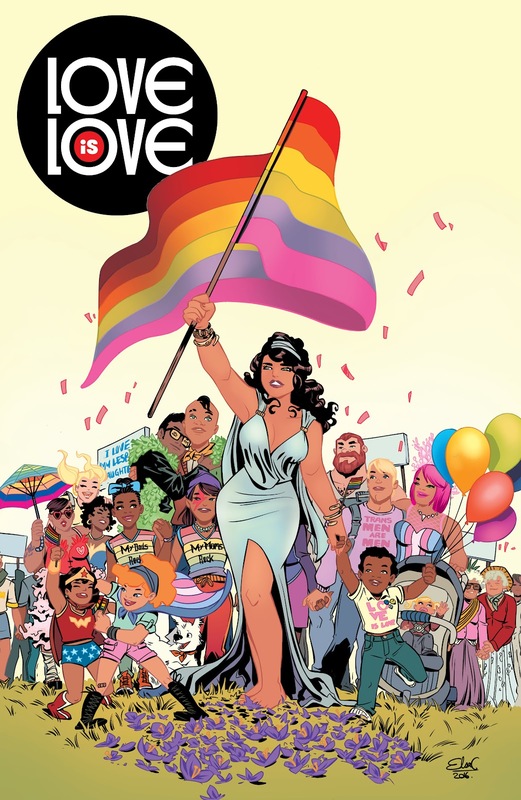 IDW Publishing, with the support of DC Entertainment, will honor the victims of Orlando’s Pulse Nightclub tragedy by publishing LOVE IS LOVE, an anthology graphic novel curated by writer Marc Andreyko (BATWOMAN, WONDER WOMAN ’77). In the wake of this devastating event, Andreyko assembled a group of fellow comic book creators to contribute to the benefit project. Andreyko received an overwhelming response across the comic book community and beyond, with over 200 writers and artists lending their talents to LOVE IS LOVE, a collection of over 100 short graphic stories. All material has been donated by the writers, artists, and editors, with all proceeds going to victims, survivors, and their families via EQUALITY FLORIDA. LOVE IS LOVE will debut in comic book shops and bookstores this December. The anthology graphic novel is a 144-page love letter to the LGBTQ community containing moving and heartfelt stories—some using iconic DC characters—from some of the greatest talent in comics, including Phil Jimenez, Steve Sadowski, Paul Jenkins, Mike Carey, Matt Wagner, Marguerite Bennett, Aneke, Damon Lindelof, Patton Oswalt, Steven Orlando, Rafael Albuquerque, Jason Aaron, Jason Latour, James Asmus, Ming Doyle, James Tynion IV, Cecil Castellucci, Brandon Peterson, Jesus Saiz, Olivier Coipel, Leinil Yu, Elsa Charretier, and many more to be announced. The contributors behind LOVE IS LOVE have banded together to send a powerful message through their art that they stand with the victims of this national tragedy. Help spread the love this December and become part of this historic comics event. Pre-order LOVE IS LOVE here. Click here for more information on EQUALITY FLORIDA.